RANCHO CUCAMONGA, CA. 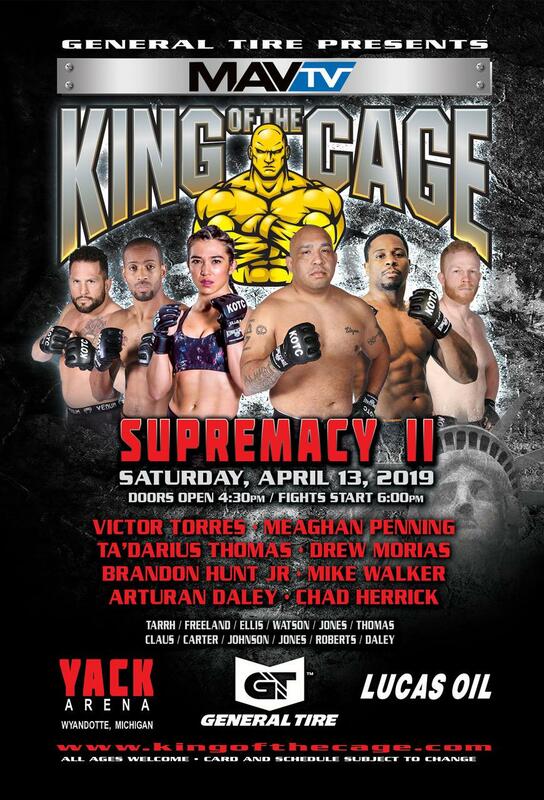 (April 10, 2019) – King of the Cage will debut at SRP Park in North Augusta, South Carolina on Saturday, May 11, 2019 with a nationally broadcast event, headlined by a Cruiserweight World Title showdown between Tomar Washington against Chad Johnson. The co-main event will feature a Jr. Flyweight showdown between Josh Ricci vs. Jason Faglier. 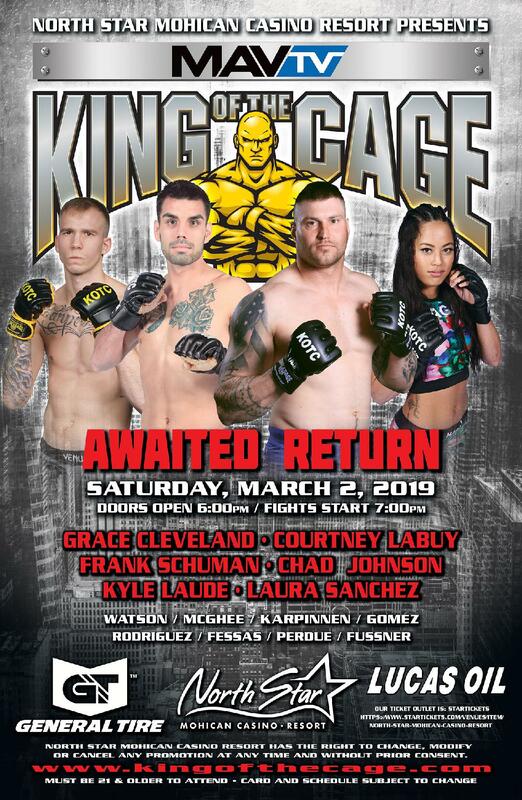 Also featured bouts including Bantamweights Nick Baker vs. Brandon Bushaw and in the Women’s Strawweight division, Sydney Smith vs. Jennifer Waters. Tomar “T-Bo” Washington (9-5) Myrtle Beach, SC (Fitness Edge MMA) vs. Chad ” Big Rig” Johnson (5-0) Marinette, WI. 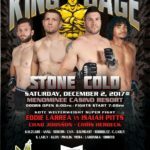 (Oconto Falls MMA). “Ruthless” Josh Ricci (4-2) Utica, NY (MVMMA) vs. Jason “The Nightmare” Faglier (6-3) Augusta, GA (Faglier’s Kempo Karate). Nick “Haymaker” Baker, Wilmington, NC vs. Brandon ” The Dream Killer” Bushaw, Myrtle Beach, SC (Fitness Edge MMA). 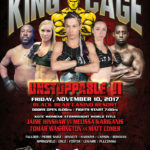 Sydney “Sundance” Smith, Middlebrook, TN (MMA Institute) vs. Jennifer “Warrior” Waters Augusta, GA (Seigler’s Karate Center). 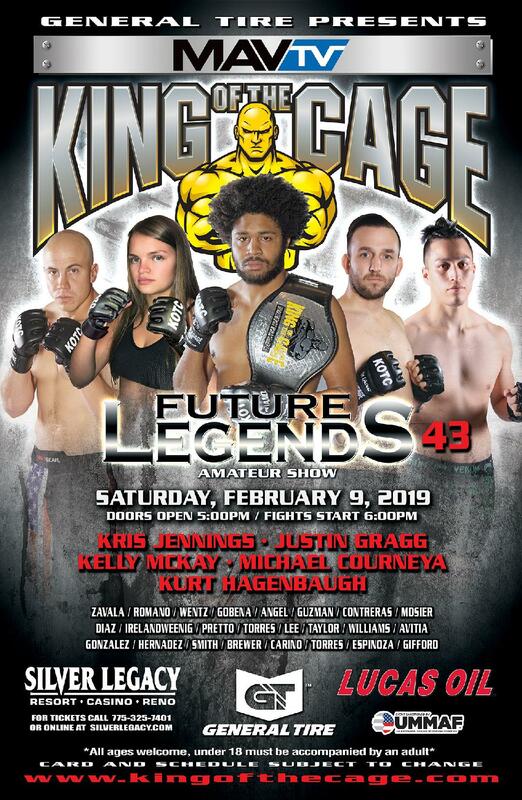 Other fighters appearing on card include Joel Faglier, Amber Faglier, Alexa Wiechert, Roger Pratcher, and Impa Kasanganay. Doors open at 6:00 pm. and fights start at 7:00 pm. Reserve seating and Ringside tickets are on sale now. Tickets are available at www.greenjacketsbaseball.com or call (803) 349-9467. Official Hashtag #RumbleOnTheRiver2.